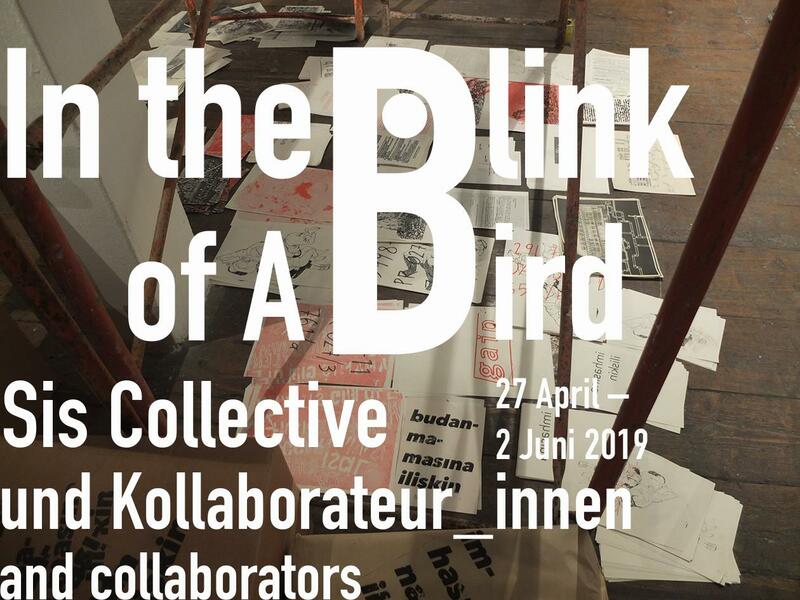 The project »In the Blink of A Bird« was initiated by the artist collective Sis*. Working collaboratively, Sis negotiates themes of freedom of expression, bureaucracy, and immigration. In Turkey, print and radio media in particular are increasingly subject to regulations that restrict freedom of speech. To demonstrate the subversive potential of these media, the artists of the collective chose techniques from these fields for their work. In May 2017, Depo Istanbul hosted the first exhibition of »In the Blink of A Bird«, a multimedia installation that included »Incoming Papers« (printed matter) and »HisTV« (video works). Unfolding between these two poles, the current exhibition at the nGbK integrates additional content by employing materials that have been gathered over the past two years. During this time, many people from Turkey have moved to Europe, and mainly to Berlin. Therefore, the notion of relocating is conceptually taken into account in the exhibition. For the nGbK, Sis developed new modules for their installation, like a wall newspaper and a printing press as well as the »Bureaucratic Application Anxiety Consultation Agency«. A new performance devised for this fictive agency, which offers to help newcomers navigate the bureaucratic jungle, will be presented to the public twice during the exhibition period. *Sis is a collective of artists from Turkey founded in 2016 during a stay in the project space Apartment Project in Berlin. The increasing suppression of freedom of speech in Turkey forced the artists to work with indirect forms of expression. Since then, Sis has been exploring collective production. The collective is constantly shifting in size, and coming together in different constellations, with new members actively joining while others are stepping aside.